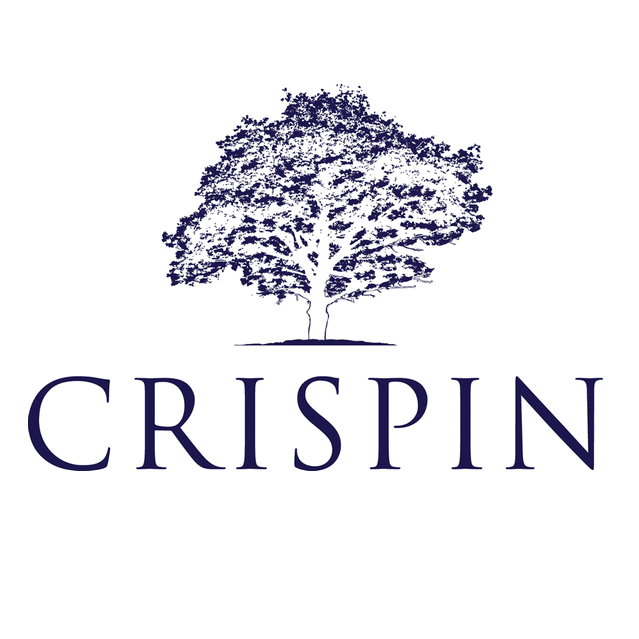 Crispin Cider is a hard apple cider company founded in 2004 and based at and produced in Colfax, California. In 2012, Crispin was acquired by MillerCoors. The font used for the Crispin Cider logo is Trajan by Carol Twombly in 1989. The inscription on the base of the Trajan column in Rome is an example of classic Roman letterforms, which reached their peak of refinement in the first century A.D. It is believed that the letters were first written with a brush, then carved into the stone. These forms provided the basis for this Adobe Originals typeface Trajan. In addition to Crispin Cider Logo, Trajan typeface is also used in the following logos, movie posters or album covers etc., including: Scent of a Woman, Challenger (Memphis May Fire), Face of Mankind, Passione, Rogue One (film), Texas Chainsaw 3D, Turning Point USA, Black Veil Brides, Minority Report, Hell’s Highway, Brown Forman, Flags of Our Fathers, Sorority Row, Star Wars Battlefront, Black Swan.